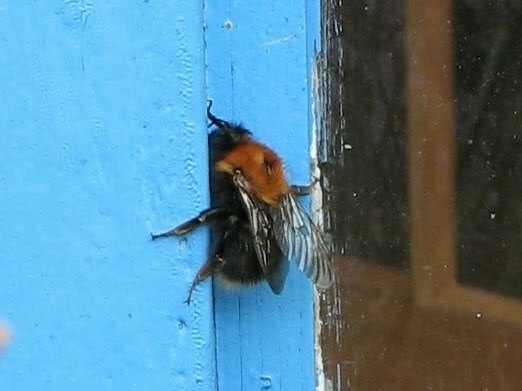 Coming out of work I see the first Bombus hypnorum of the year: a dying, squished female, possibly a queen. B. hypnorum, or the tree bumblebee is a newcomer in the UK. It appears to have arrived on its own steam, possibly an inseminated queen crossed the channel around the turn of the century. The first specimen was collected in the New Forest in July 2001. In mainland Europe it is a species closely associated to human habitats. It is a species quite easy to identify due to its striking coloration: ginger thorax and black abdomen with a white tail. It is a good size bumblebee, similar to B. terrestris. In July 2005 I reported the first B. hypnorum in Hull and I have recorded it every year since. 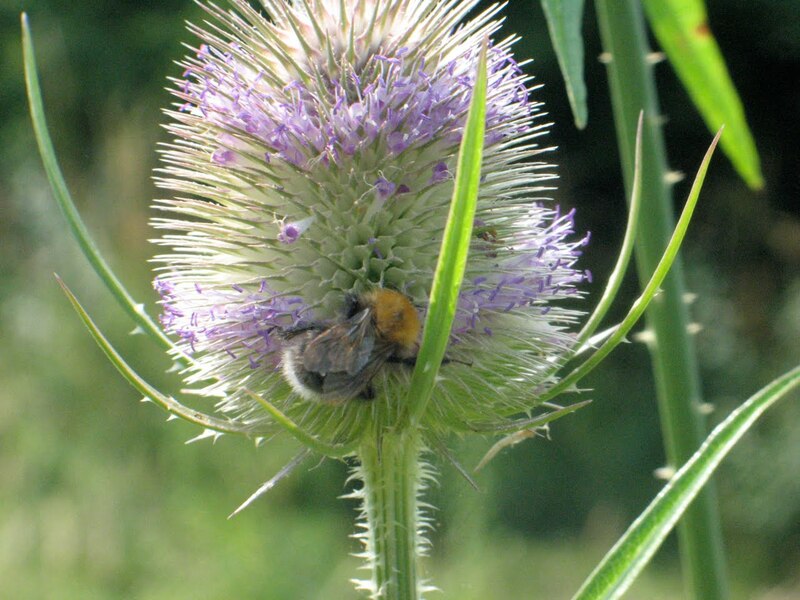 In the UK B. hypnorum has expanded steadily through most of England - click here for the 2009 records - and it appears that its status as a British bumblebee is consolidated. 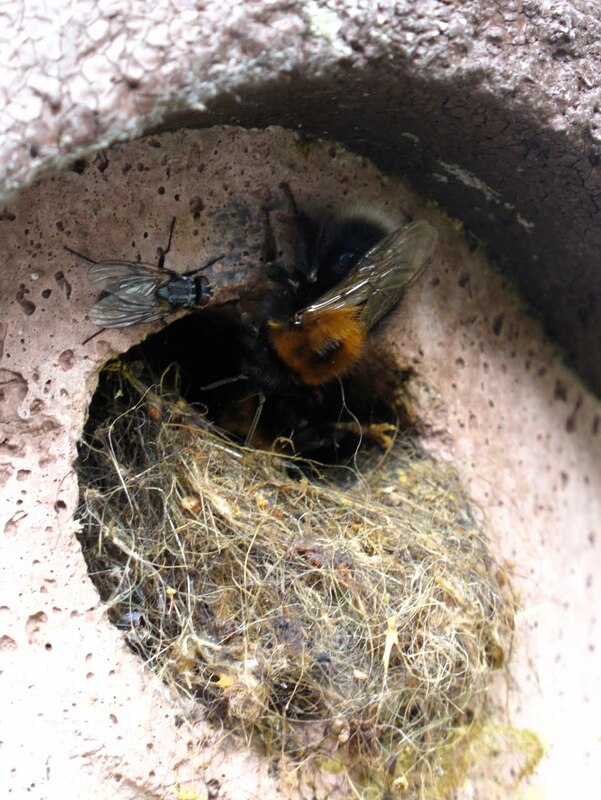 The entrance to a B. hypnorum nest in a nest box. Flies appear to be always at the entrance. BWARS gallery page for B. hypnorum here. You can also send your records to BWARS. First B. hypnorum record by Dave Goulson and Paul Williams here. too bad it was dying...but how did you know that ? Beautiful bee. Wish they were all that easy to ID! Suz, the one in the photo is the one I saw in 2005; the one I saw had most of its internal organs spilling out of its body, so I thought the photo was a bit too gory for showing. I find it is a really handsome bumblebee too!